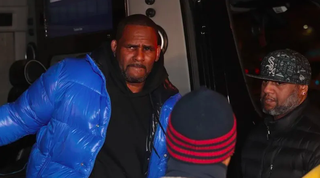 R. Kelly has posted $100,00 bail and been released from jail, after pleading not guilty to ten counts of aggravated sexual abuse. Kelly was indicted last Friday on charges related to four alleged victims, three of whom were under 17 at the time the alleged incidents. Prosecutors say the abuse purportedly spanned from 1998 to 2010. In response to the charges, Kelly’s lawyer, Steven Greenberg, said that he believes “all the women are lying.” He also acknowledged that his client’s finances are a “mess,” which is why it took him the entire weekend to scrape together the money to afford his bail.